Authentic Pigment offers the best in garment-dyed t-shirts, hoodies, crewneck sweatshirts, and hats on the market. 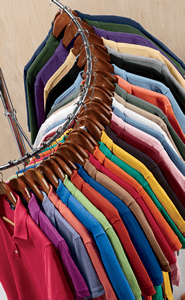 Unlike typical shirts which take years of wear and washings to become your most favorite comfortable shirt, Authentic Pigment shirts and sweatshirts are garment-dyed and soft-washed to make for that worn-in feel and look that we all so desire. Besides great looks and a comfortable feel, the garment-dyed process also makes for shirts that are truly "preshrunk" unlike your typical t-shirts which are made from pre-dyed fabric.